I'm trying to get back into the swing of swatching things, but the lighting in my room has been less than optimal. For some reason my house just doesn't really seem to be getting any good natural lighting anymore. Anyways, I'm crazy enough to have a Nordstrom Visa, so I was able to shop the sale early (got my stuff last week). I hadn't really been able to do anything with it really though until today. 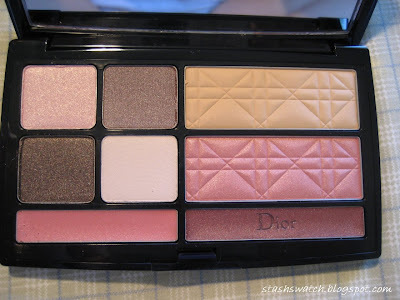 I picked up 3 of the exclusives from the sale; the NARS Bright Lights Big City eyeshadow palette and this Dior palette, which retails for $52 before tax. The palette contains 4 eyeshadow shades, a powder foundation in shade 020 (not swatched), blush in 950 Framboise/Raspberry, and 2 Dior Gloss Ultra Gloss Reflects in shades 183 and 483. The eyshadows themselves are nice and silky. 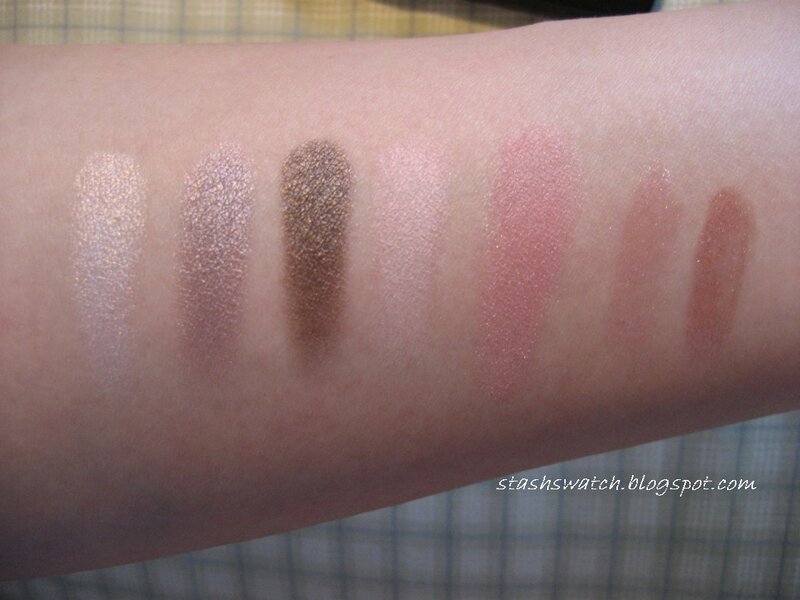 The Pink shade swatched closer to white on my skin (about nw20 right now I think), the taupey shade swatched purpley, the brown was fairly consistent with how it looked in the pan, and the white shade has pink duochrome to it so it came out pink on my skin. The blush is a nice neutral-warm pink with very minor shimmer. The two glosses came out very very sheer on my arm. They were actually a bit difficult to get on the brush though.